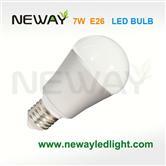 We are professional LED bulb light manufacturer and supplier in China.We can produce LED bulb light according to your requirements.More types of LED bulb light wanted,please contact us right now! 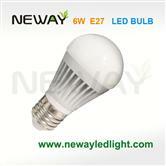 3W,4W,6W,7W,9W,12W as our standard LED bulb light wattage. 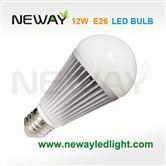 E14,E17,E26,E27 screw base,B22 bayonet cap lamp holder of LED bulb light for buyer selectable.Optional milky cover,frosted cover,clear cover or transparent cover for our LED bulb light.We also import high qualty SMD LED such as Samsung,Epistar,Cree,Osram,Philips LEDs,following buyer requirements use different SMD LED.Our LED bulb passed CE,RoHS,PSE,FCC certificates with at least 2 years warranty period. 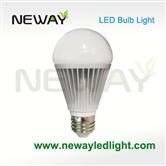 Most of LED bulb light is direct replacement of traditional incandescent bulbs,halogen lamps or CFL lamps,also widely used in hotel, home, household,building decoration, courtyard,art display, museum jewelry counter spot lighting,shop,theater lighting,shopping mall,restaurant,office,reading room,meeting room lighting and other residential places lighting etc. 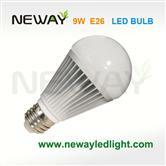 9W SMD LED Bulb use the excellent SMD 2835 LED solution and purity aluminum material make the luminous efficacy high to 845LM.Lamp holder also have E27 | E26 | B22 can be choosed. 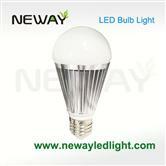 If you cannot find the information you want, you can search for more products Bright White LED Light Bulbs Information is through here. 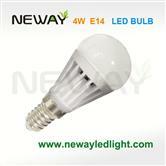 We are dedicated to providing you with more Bright White LED Light Bulbs Manufacturer. Anyway, thanks again for your kind patronage!